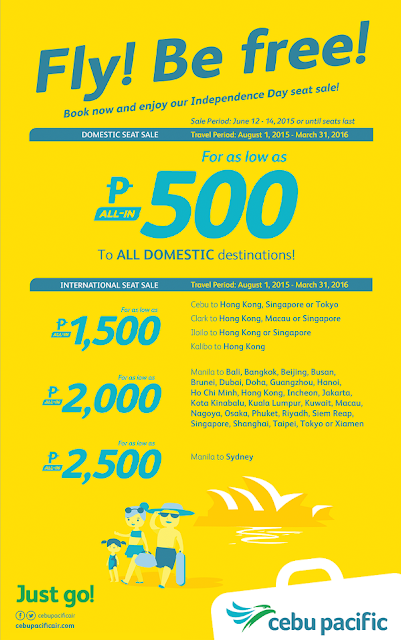 Low-cost airline Cebu Pacific announces a new promo offering as low as 888 Pesos all-in fare on several domestic destinations. 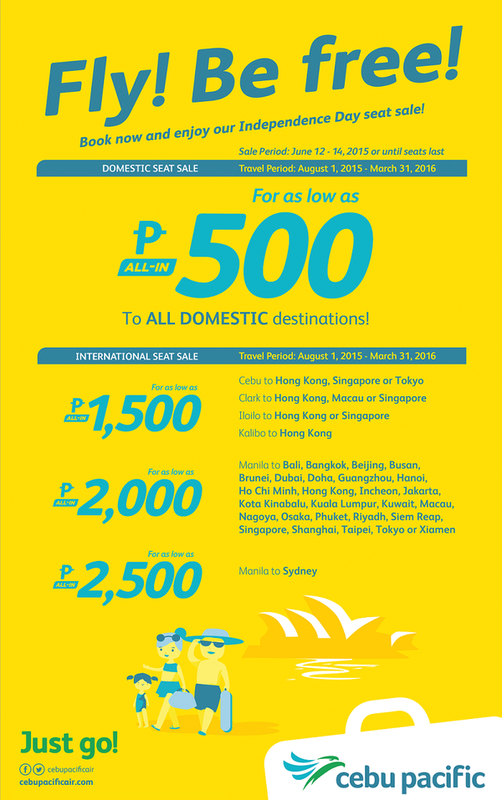 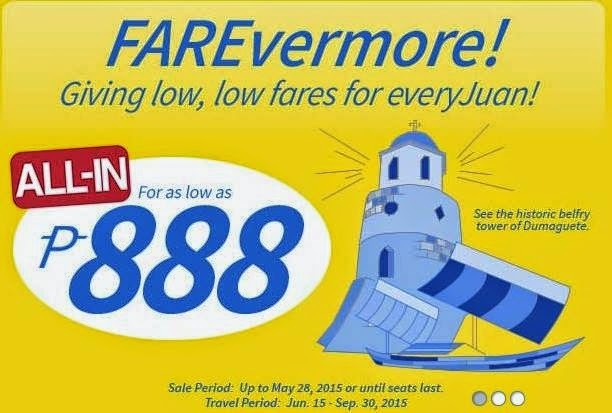 As a labor day giveaway, Cebu Pacific Air announces that they are slashing down the base fares of both domestic and selected international flights within the travel period of July 1 to March 15, 2015. 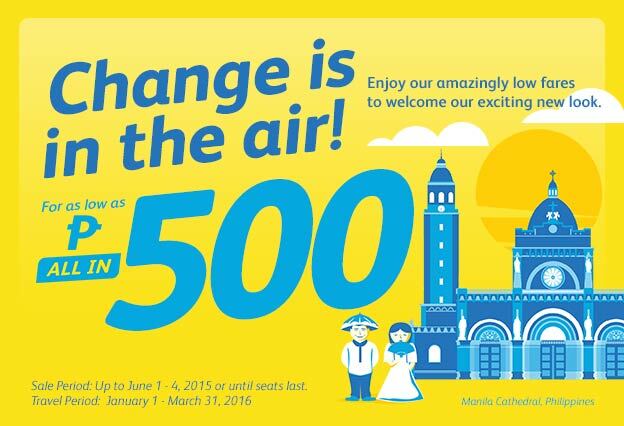 The booking period is today, April 30 until May 3, 2015. 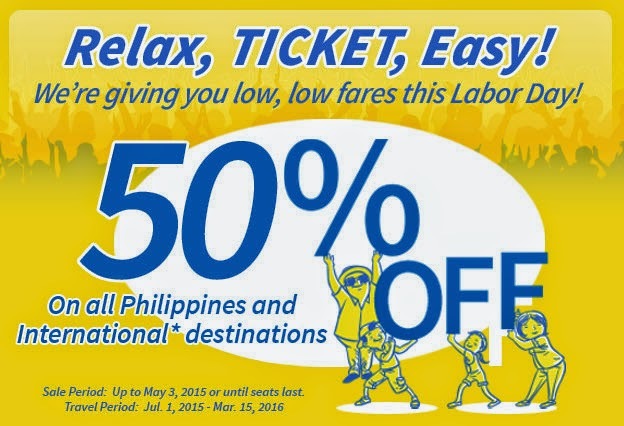 Go to www.cebupacificair.com or at their ticketing office for booking.